It was widely feared that Reading would be badly hit by bomb attacks because of its prominence as a transport centre. In the event, this didn't happen, though a daylight raid caused much death and destruction. 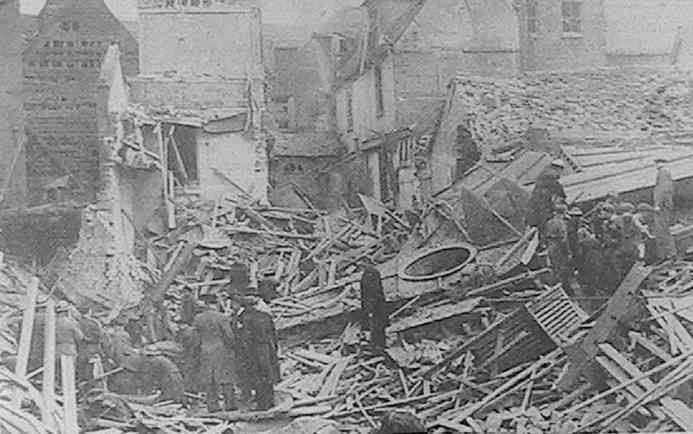 Berkshire also escaped heavy bomb damage. It is said that Goering, who had visited Bramshill House in the 1930s, wanted to claim it as a residence in the event that the U.K. became under occupation. Perhaps this afforded central Berkshire some relief from bomb attacks - though Woodley was hit, and according to the Local History Recording Scheme's War Diary, a few bombs were dropped on Arborfield but without any fatalities. 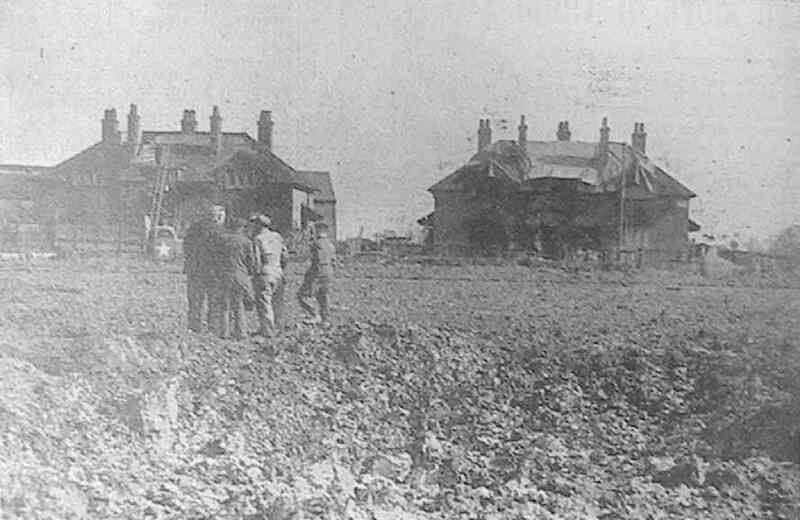 A decoy site on Arborfield Hall Farm was manned for many years under great secrecy - and therefore it escaped any mention in local news reports. During the war, the newspapers were careful not to give too much away, as the following articles from the 'Reading Mercury' show. The Home Counties town, victim of a tip-and-run raid, was Reading, it can now be revealed. 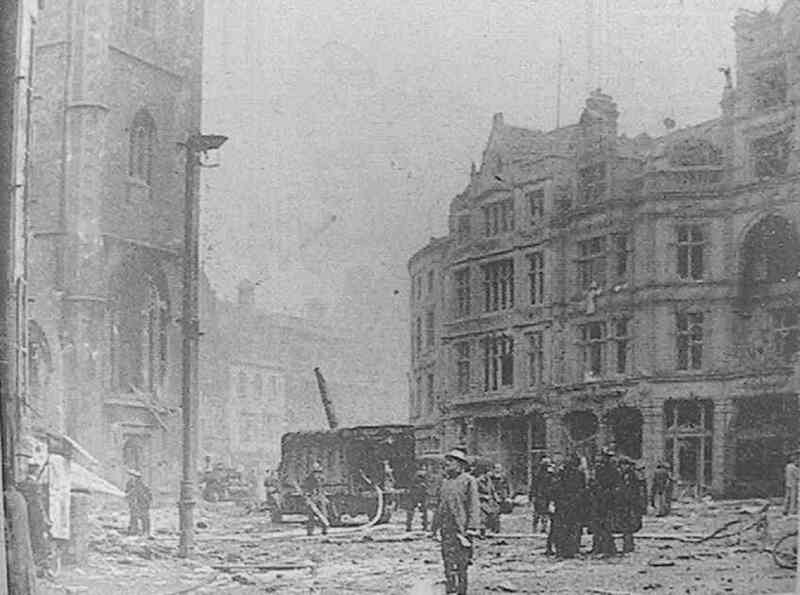 Bombs fell in the centre of town, causing considerable damage, and a number of casualties. Many were seriously injured. Children were among the victims. 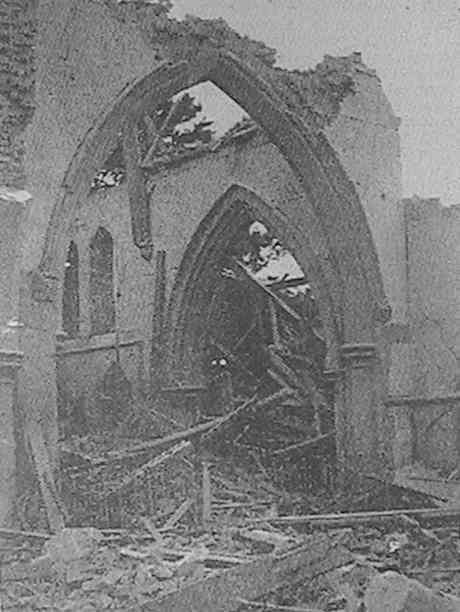 […] One of Reading’s oldest churches, St. Laurence’s, was damaged. From mid-June 1944 onwards, there were several reports of ‘pilotless planes’ arriving in the area; one pilot from Reading had shot down five of them. The Reading Mercury in 1944 never called them ‘Doodlebugs’ or V1’s. 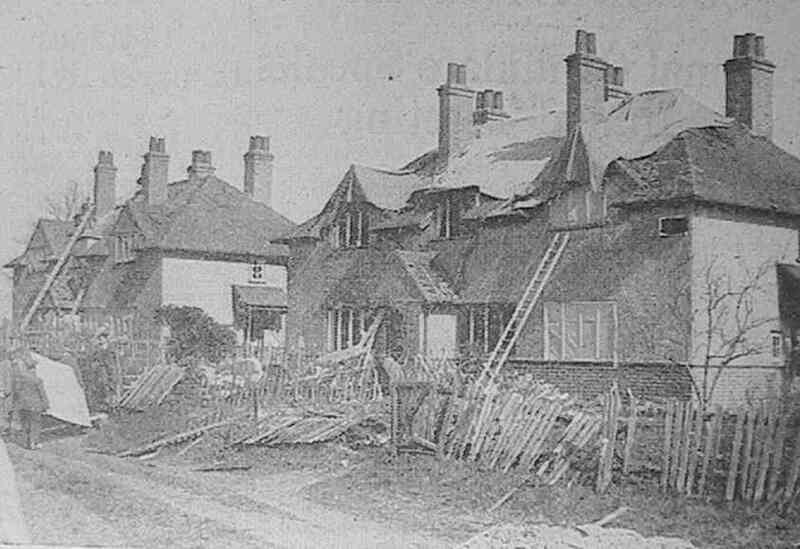 The 'Mercury' for March 24th 1945 showed photo of ‘Cottages Damaged by Bomb: Shortly after a V-Bomb dropped in a rural area of Southern England, workmen are busy repairing these cottages damaged by blast.' A separate news article stated that a few people were injured but no deaths. From the commencement of the war until the end of June 1940, the county escaped any enemy attention, though the sirens were sounded for one or two alerts. Between July 1940 and May 1941 some 1,595 bombs and many incendiaries were dropped in the county. After May 1941 only occasional small attacks, totalling 115 bombs, were experienced, the last of these being April 1944. Between June and the end of 1944, a dozen flying bombs, and in March 1945, a long range rocket, fell in the county. The number of casualties was: Fatal: 43; serious, 96; slight, 181. Five enemy aeroplanes were reported to have been destroyed in the county. The total number of bombs dropped was 1,710, of which 1,595 were H.E., 105 were oil bombs, and 10 were parachute mines. In addition, there were 54 occasions when falls of the 1 kgr. incendiary bombs were recorded, and these numbered several thousand in all, though no attempt was made to count them accurately. No complete county record of the damage is at present available. Note: Berkshire Record Office has a German map of Reading, showing several intended targets. It was published on the 'Who Do You Think You Are?' Magazine's CD for March 2009. Berkshire Media ('Reading Mercury' - Copyright photos; used by permission).